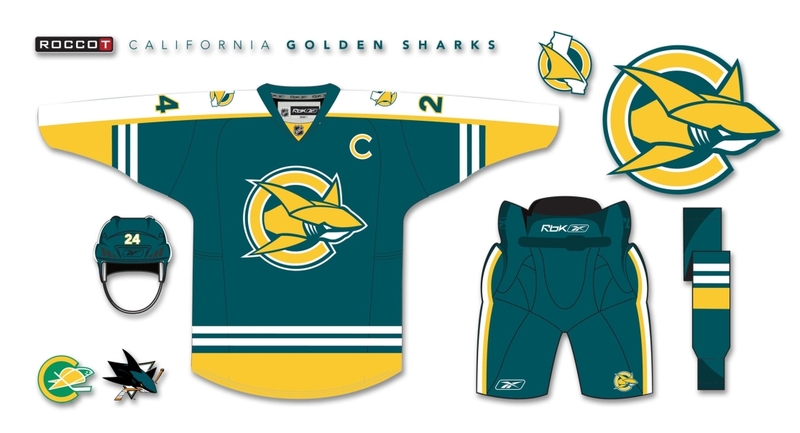 Made this California Golden Sharks jersey a little while back. Logo was created by RossTaylor. 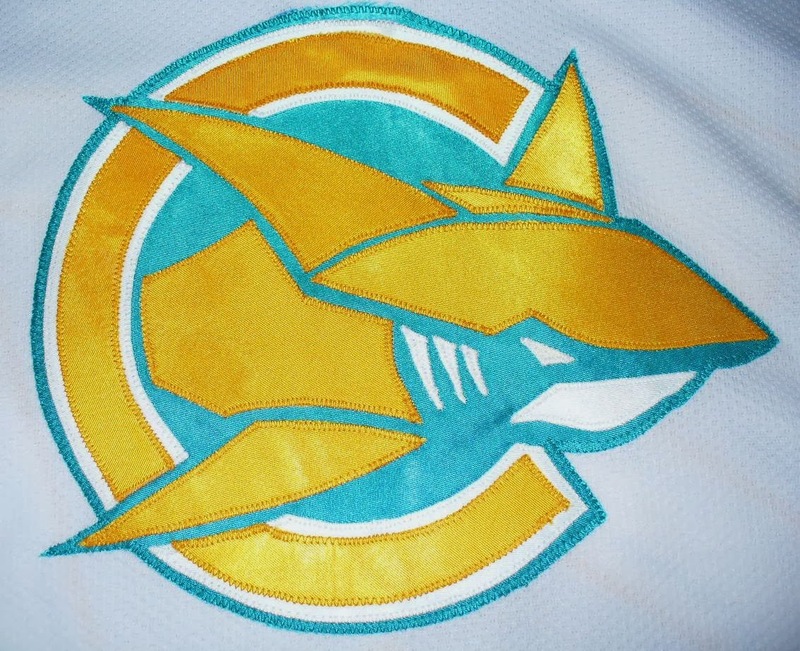 It's a mash-up creation combining the California Golden Seals and the San Jose Sharks. 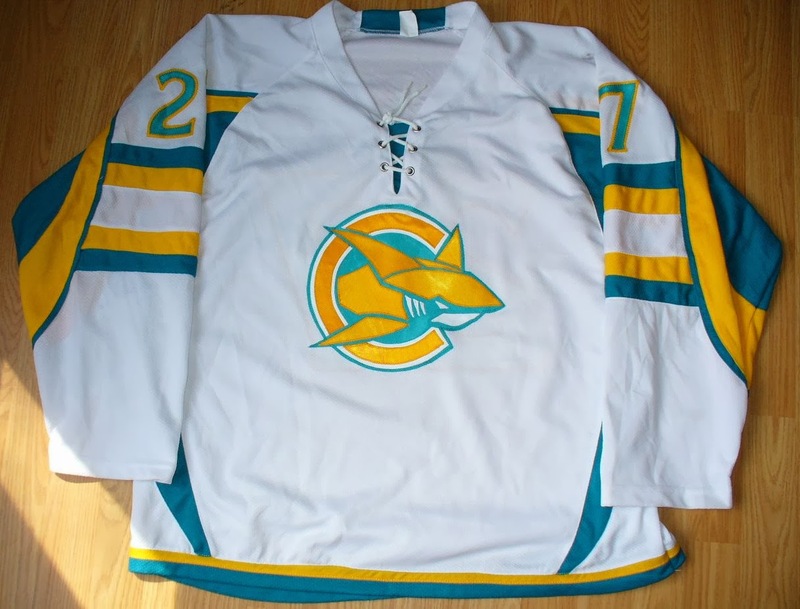 Think I first saw it on the Chris Creamer forum, but have also seen it posted in Icethetics, and Hockey Jersey Concepts. Originally got the jersey off Ebay. It had an Azure Dynamics front crest and shoulder patches that I removed. Left the two colour sewn on #27's on the back and sleeves. If the striping of the jersey looks familiar it's the same style but different colours than the Sens 3rd jerseys used from 2008-2011. Printed Ross's logo out and reproduced a template of it and made a tackle twill crest and sewed it on the jersey.